Hi guys.I have a question for you. 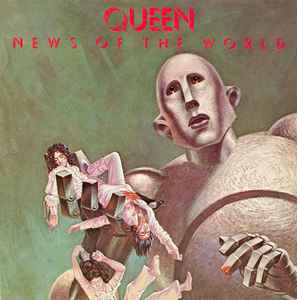 The French edition of 'News Of The World' contained an advertisment for a Queen show at the Pavillon de Paris in Paris on 24 April 1978. At the time 'We Will Rock You' had just replaced 'We Are The Champions' at number 1 in the French singles chart. Do you know in what edition can you find that advertisment? Is it the 1977 edition (https://www.discogs.com/it/Queen-News-Of-The-World/release/381210) or the 1978 reissue (https://www.discogs.com/it/Queen-News-Of-The-World/release/10314865)? Maybe its the pic res, but I can't see the difference.